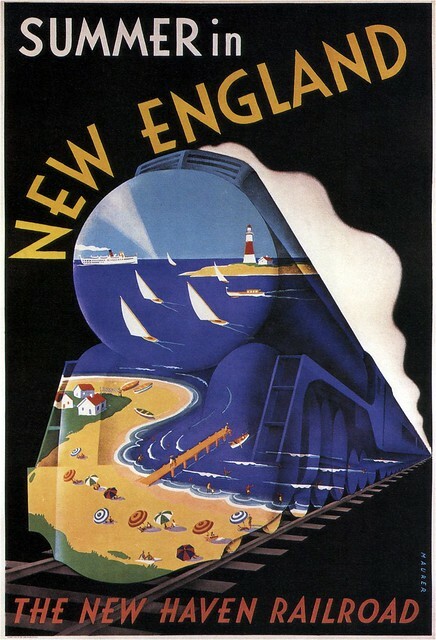 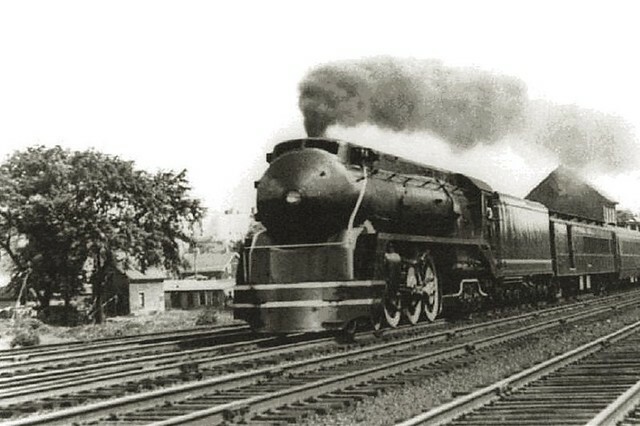 With the increase of passenger traffic on the New Haven's Shore Line requiring trains of fourteen to sixteen cars, the capacity of the I4 Pacifics which had been used for twenty years was severely taxed. 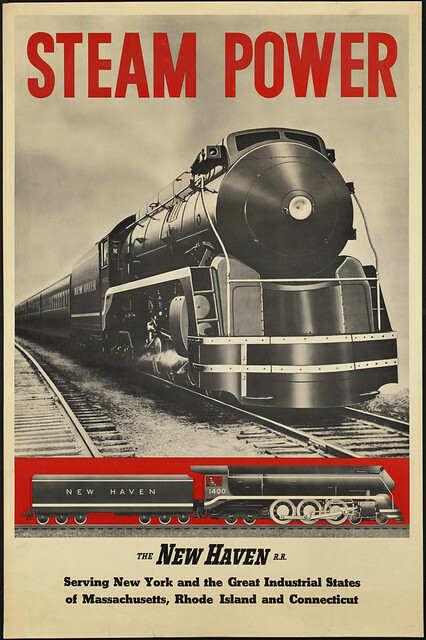 As a result of tests with two of these engines with a twelve-car train operating over the 156.8 miles between New Haven and Boston, this new design was worked out. 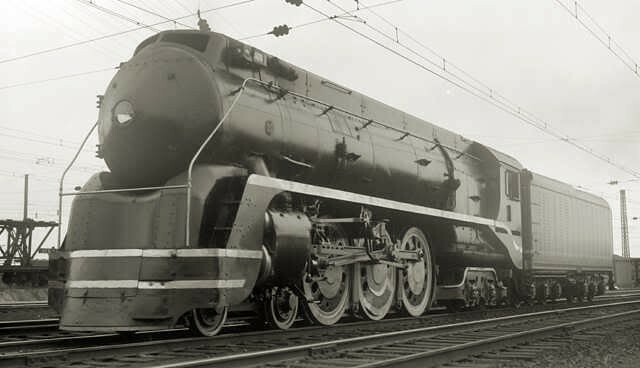 Much research went into these studies, which included consideration of the 0.6 to 0.7 per cent ruling grade near Sharon Heights outside of Boston, and the eventual plans called for a locomotive which could maintain a 60-mile speed over these grades with a twelve-car 830-ton train. 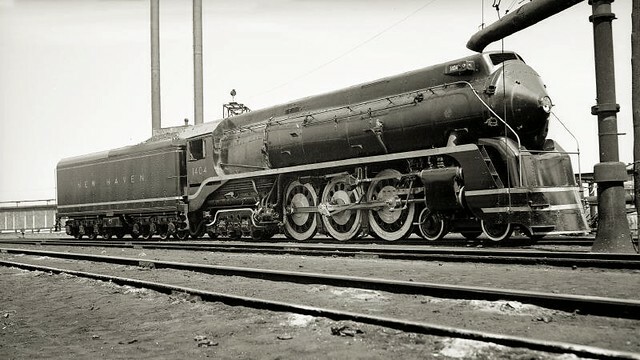 Ten of these Class I5 engines were delivered in 1937, being partly streamlined but with maintenance accessibility in mind. 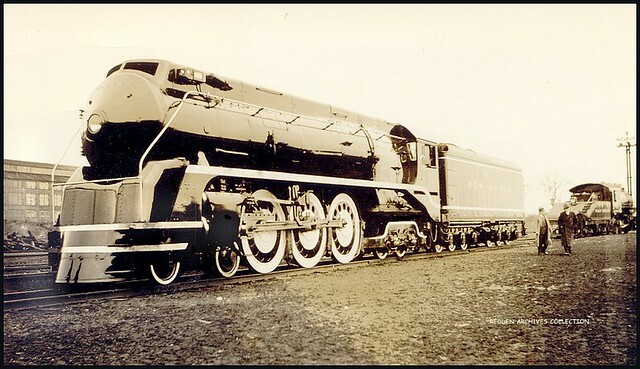 They have been satisfactory in every respect since they went into service and will probably remain the last steam locomotives to be purchased by the New Haven. 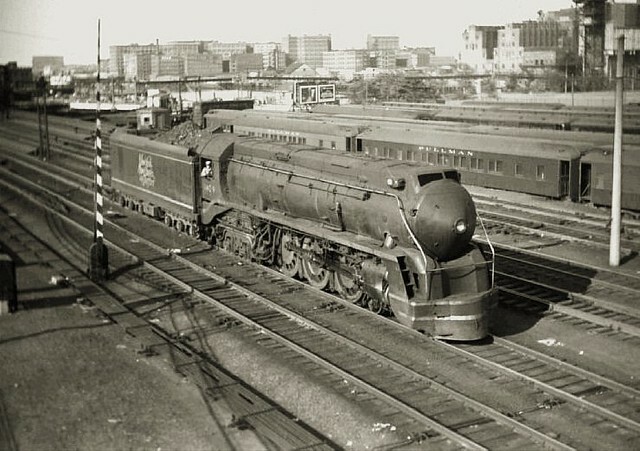 They were called Shoreliners on the NYN&HRR and were used to pull the premiere Yankee Clipper and Merchant's Limited between New Haven and Boston during the period between 1938 and 1950. 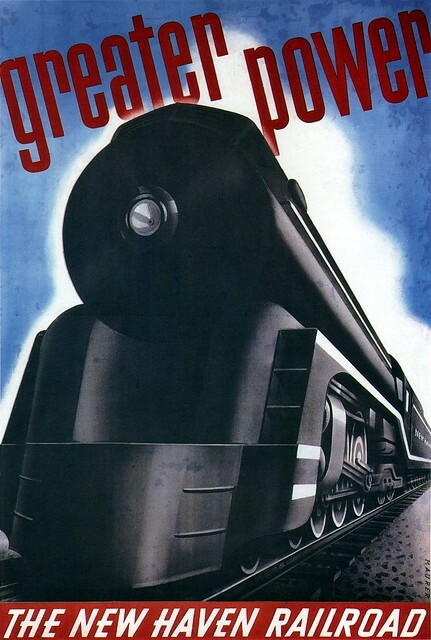 They pulled these trains even after the DL-109 diesels became NHs standard because the diesels could not keep the four hour schedule. 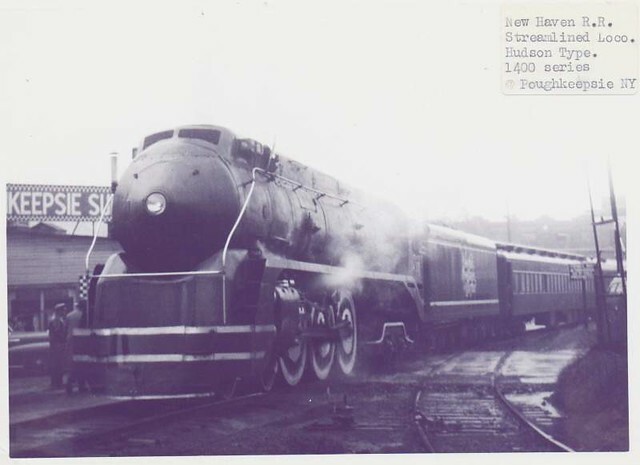 Even after the ALCO PAs came on board, the I-5s were kept in reserve for a couple of years.